She is just so precious to me, and so darn cute!! She likes to go shopping as you can tell by my photo, I can’t believe how fast she could take everything off the shelves! She keeps me laughing!! She is so funny, so sweet and I'm extremely Blessed to have her in my life! 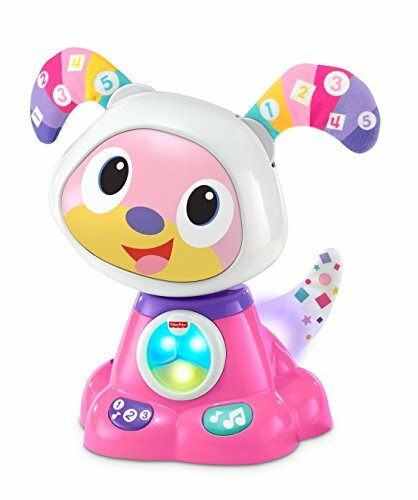 ​Here you will find a list of my best toys to buy one year old girls. 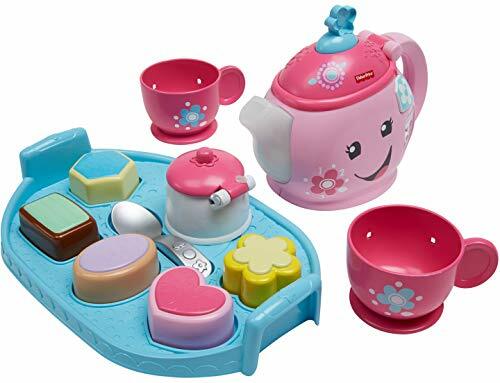 Whether you are shopping for First Birthday Gifts or a special Christmas present, here you will find a variety of the best gifts that our little one loves. Even though she is small, she still has an opinion. You can sure tell, what she likes and what she doesn't like. 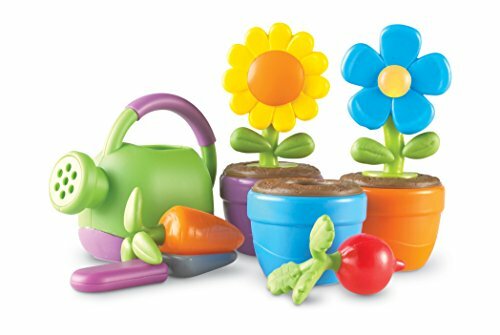 These wonderful little toys will keep kids interest as they play. Brightly colored amusing fun for kids of many ages. It’s amazing how fast our little one learns everything; she is so smart! I love spending the day with her! We love to sit and read books; we love playing with her toys together. Children learn so quickly when they are young, and they say kids absorb so much between birth and the age of five. So give them many Learning Toys For Kids and watch how quickly your child will learn. We love any of these toys. 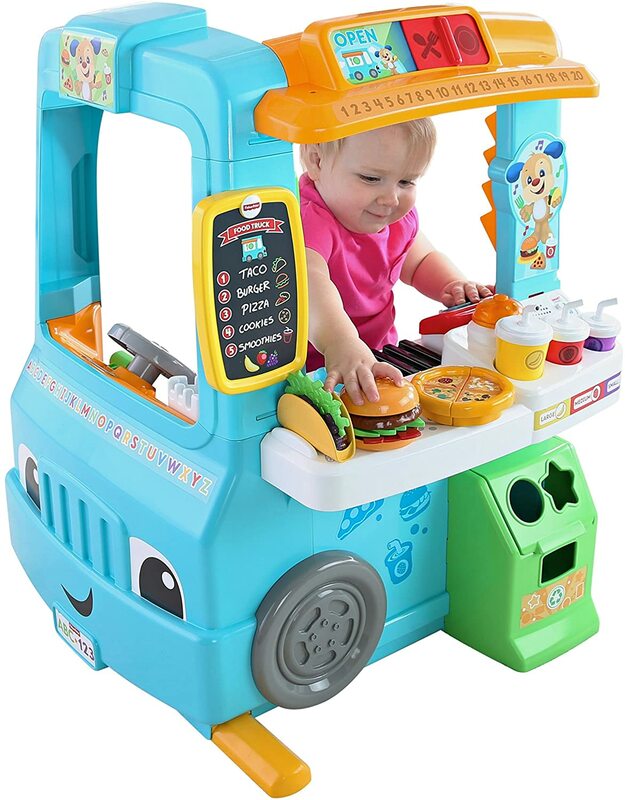 This is a super fun food truck for the little ones. Its has a cool cash register so kids can ring up orders. 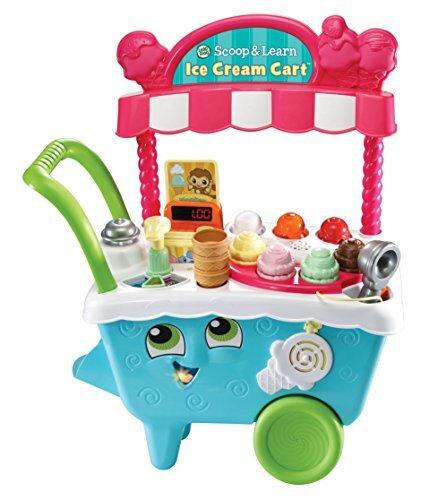 The Laugh & Learn food truck comes with play food and a light up grill that sizzles when food is being cooked. These are some of our favorite toys! Although they may be a little addicting for our kids! Sometimes we can’t get them to stop playing, lol. What I think is great about these toys is that they learn so much playing with these LeapFrog toys. We can learn colors and count, learn shapes & sizes. They can be very educational. 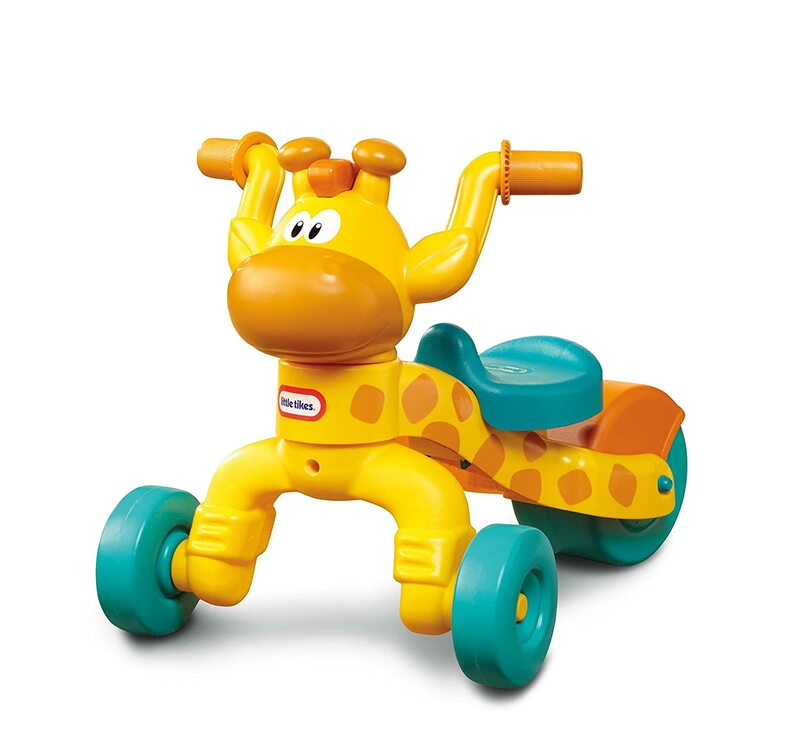 These are kid powered ride on toys, that encourages your toddler to use and strengthen their legs. Its a great way to get kids moving and they will get plenty of exercise. 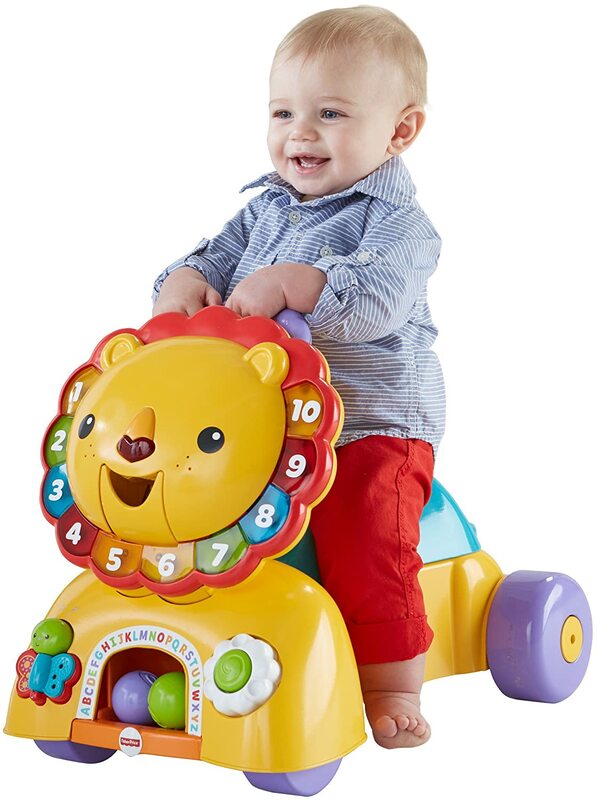 Toddlers love to scoot and crawl onto these fun Ride on Toys. We love this toy, it’s so super cute. 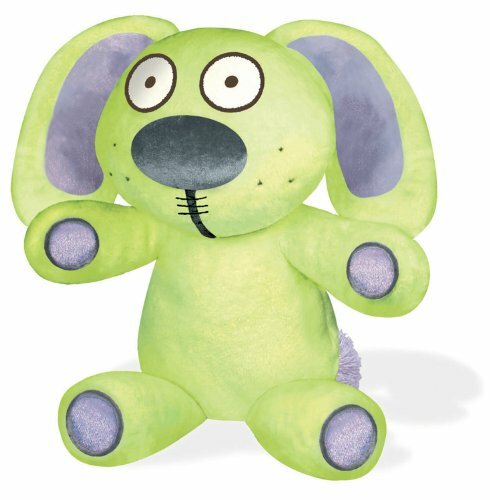 The cute little puppy helps teach your baby first words, songs, & phrases. 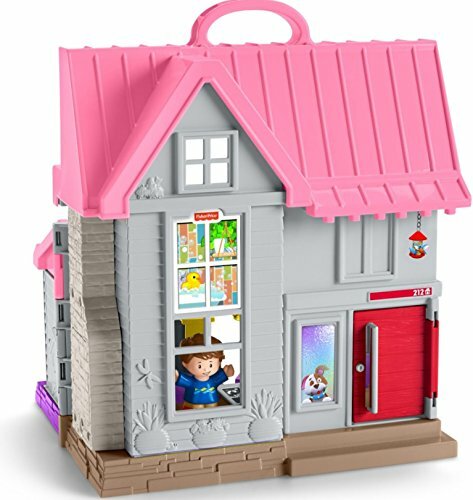 Children can press 5 light up buttons, tumble blocks down the chute, and put blocks on the reader to hear songs and phrases. I think we must have a ton of Laugh Learn Toys, that our kids love to play with. 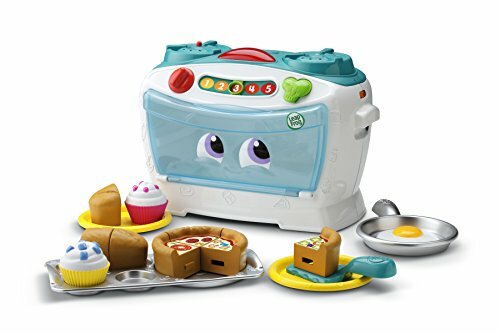 We Love many of the VTech Learning Toys at our house! They make really great learning toys for kids! 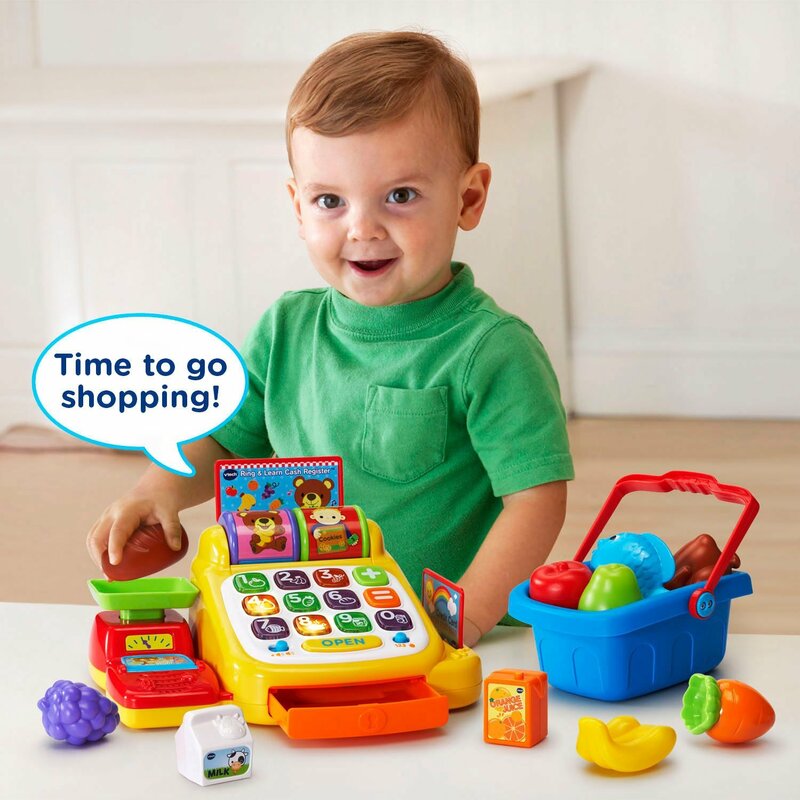 Their toys teach kids about colors, numbers, alphabets and they usually have sounds & phrases. I love that our children are encouraged to learn through fun imaginative play! 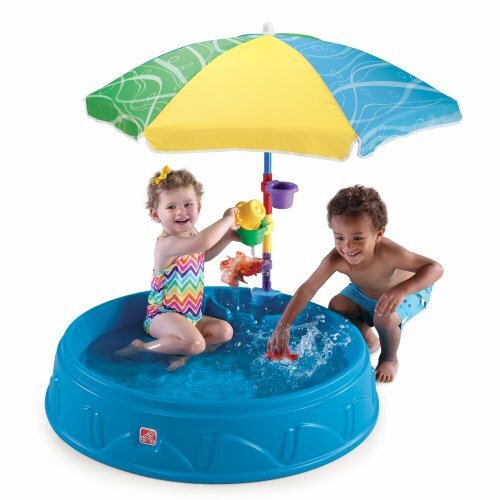 These are some of the top toys kids Love! 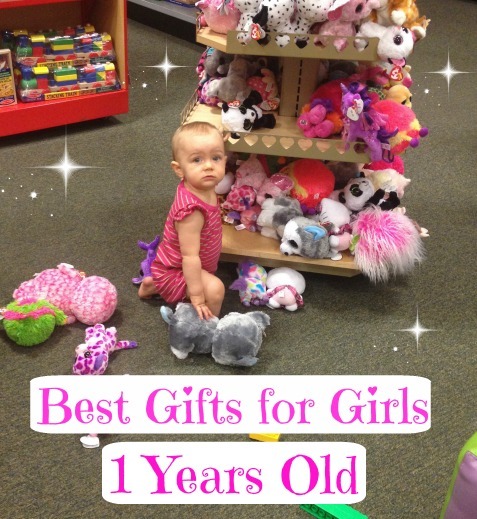 Best baby toys 1 year old girls love. Our little one loves to crawl through the tunnel and play in the ball pit. We did have to buy the balls separate, but that was ok, we did find a bunch of balls pretty cheap. She is silly crazy for the pretty balls, she just loves them. 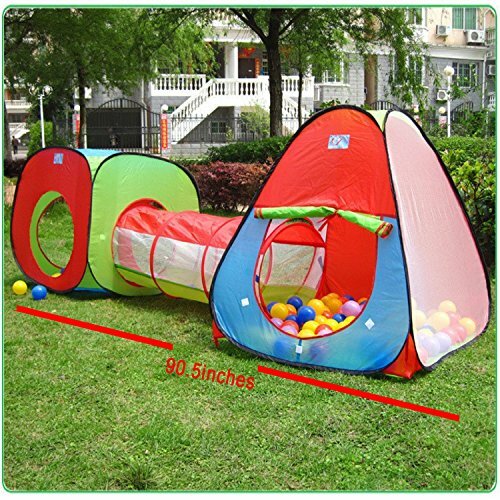 Play tents for kids, are really fun for them, and they make such a cool gift. Our tent has lasted for years. It's been through a few kids, so it's pretty durable. It has a breathable mesh tent that your little one is going to Love! 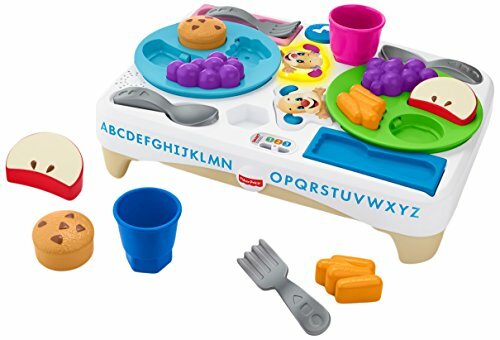 Kids activity table should be fun, colorful and educational! There can be plenty of fun things to do to keep kids busy. 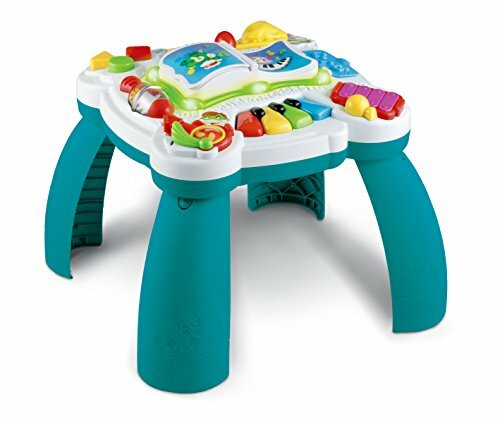 Activity tables can have lights, sound, buttons & gears. They can teach vocabulary words, songs, music colors & numbers. 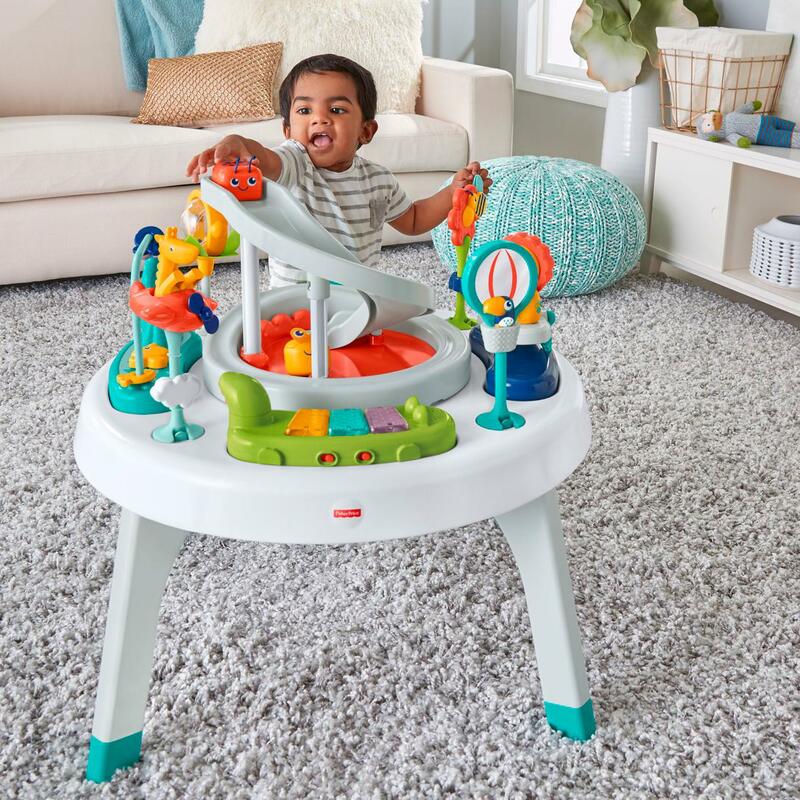 A Toddler Activity Table makes for a fun gift! Kids love having their own place to play & learn. We really like this cute Kids Rocking Horse. 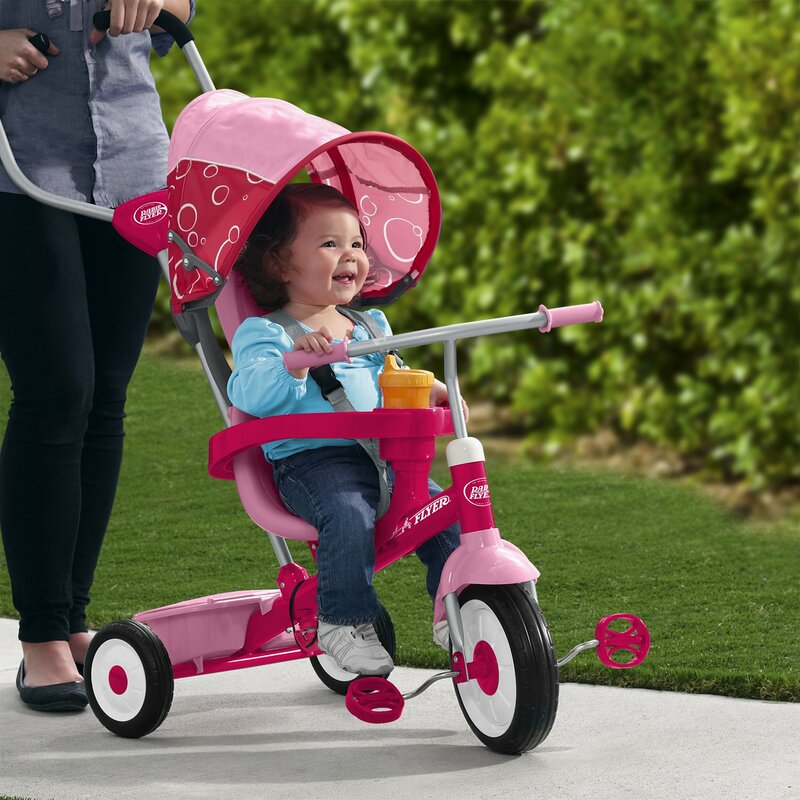 It is perfect for a small child for indoor and outdoor use. We used it on the carpet at first, so the kids can learn to climb on it without getting hurt. I like the high back so they won’t slip off. 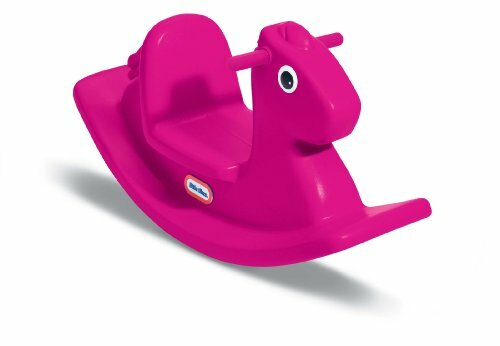 A childrens rocking horse is such a classic toy, they have been around for years. When I choose a gift for her, I really want it to be perfect. I like to do a lot of research on toys before I buy, because I want it to be the best toy for her. These are toys 1 year olds Love!! I want the toys that I pick out for her, to be fun, safe, durable, and age appropriate. She loves to ride her Radio Flyer Tricycle. Although she’s not really peddling by herself yet, I can push her and she thinks she is doing the peddling. She does do pretty well though, and she's getting better at peddling everyday. We like to go up and down the long driveway & we go to the park. She get super excited when she see’s her Radio Flyer Trike! I love to hear her giggle, its super cute, she gets so excited!! 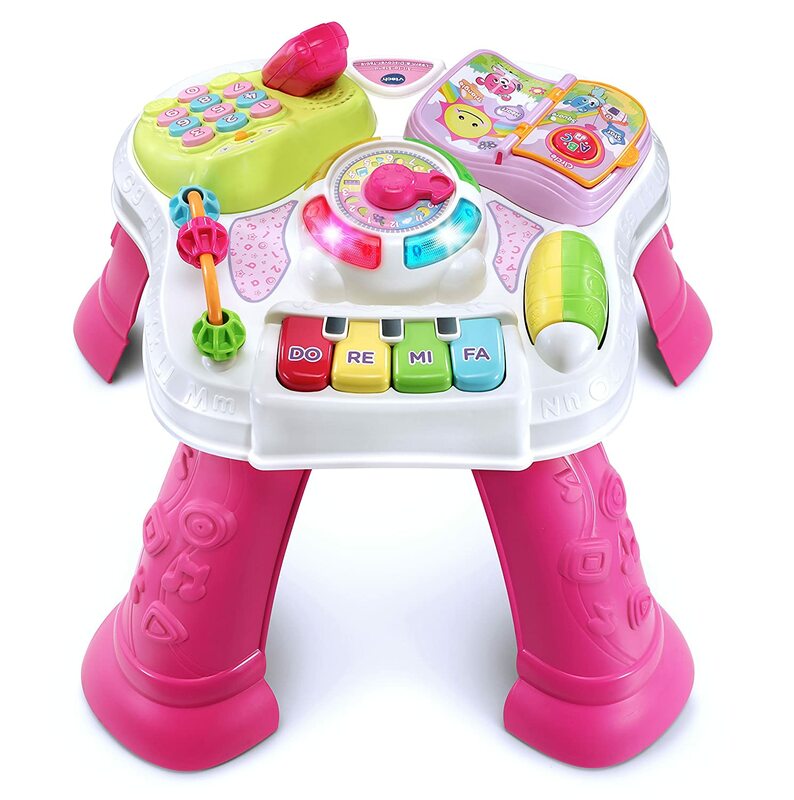 ​The Go Go Smart Wheels is an interactive toy for kids. 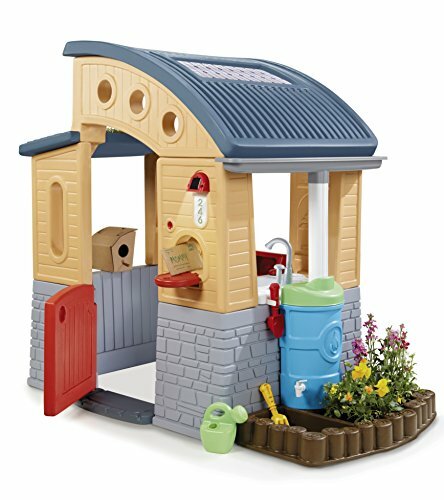 It encourages your child to engage in imaginative play. You can hear the characters sing or chat. It’s really a pretty cute toy! You can collect other sets, which connect to each other. 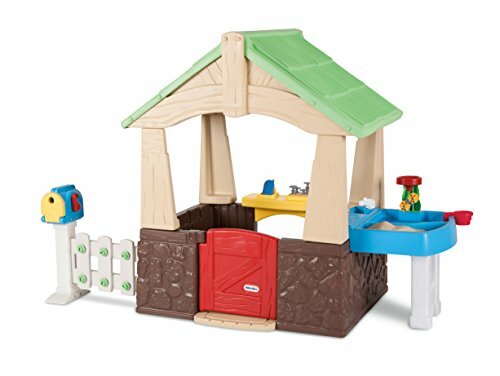 They will have so much fun with these Play Sets, your child learns through imagination play. 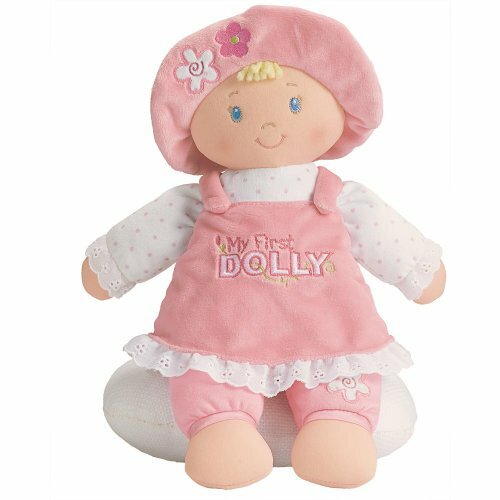 ​Newborn Baby dolls, is a must in our house. We always have a sweet doll for our little one. We think this doll is great because it looks just like a real Baby. This doll is delightfully detailed, from her life like toes, plump tummy, to her soft & cuddly body. JC Toys is a Great company and this doll is a Top seller with great reviews!! You can’t go wrong picking this doll, for a little one to play with. 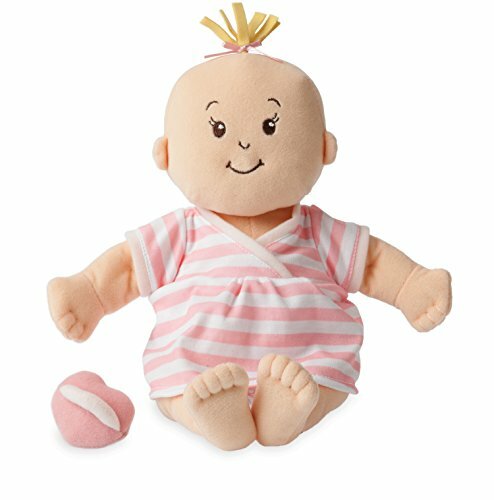 Baby dolls would be great for Christmas or birthday gift ideas! 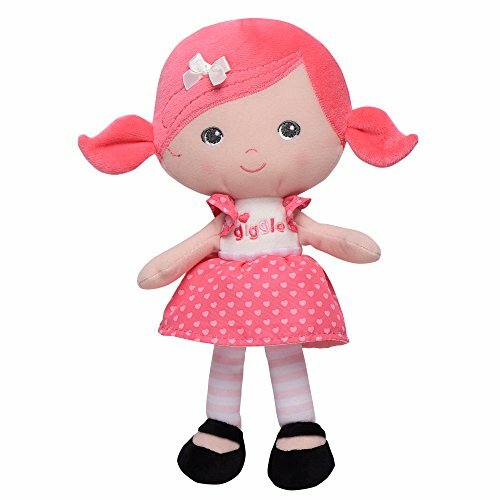 Almost all little girls love their dolls, and these are such sweet dolls for a one year old. These are the most popular first soft Dolls for a one year old. 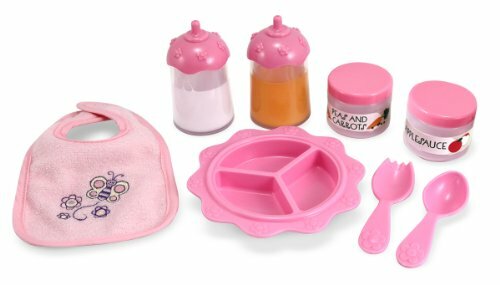 Little girls love to play with their dolls, and these are just some of the cute Baby Doll Accessories you can get for them. It's good for children’s development, to play pretend. Little girls love to play mommy, to feed their baby, change it’s diaper, or give it a bath. 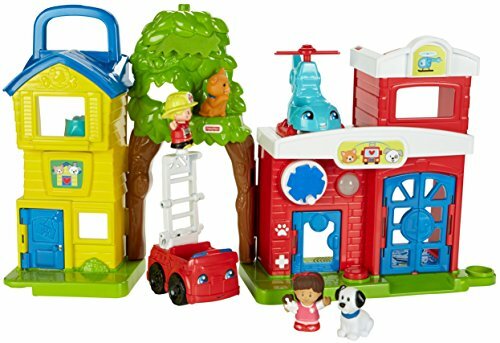 Here are just a few of the play climbers we own and love! We really like for our little ones to stay pretty active. 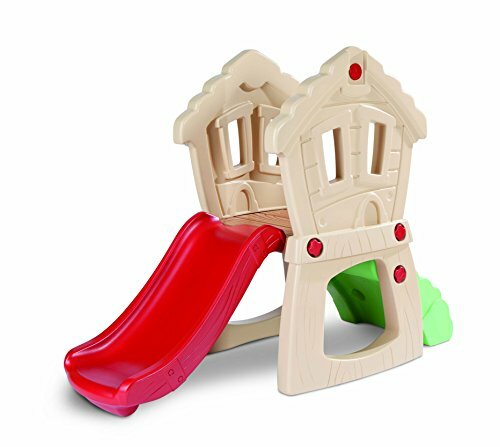 Playing in these cute climbers with slides are such a great gift idea for children. 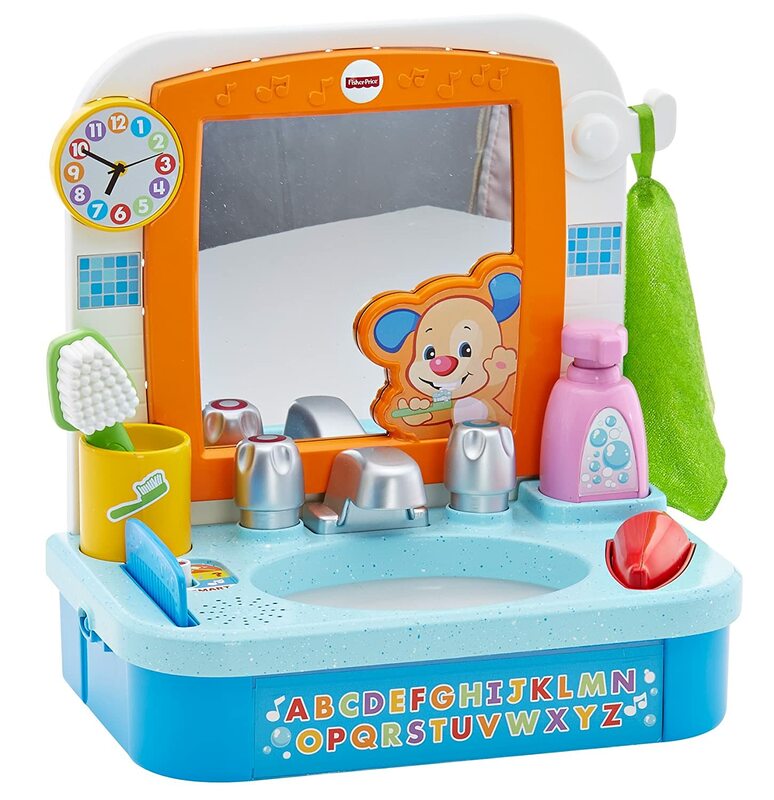 The VTech Rhyme and Discover Book is so much fun for little girls to play with. We love this little book: she takes it everywhere! 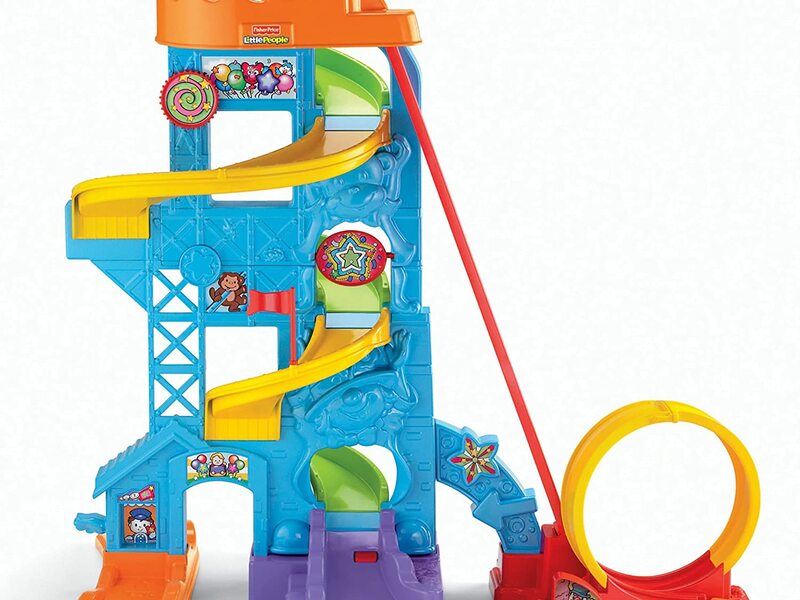 Its super colorful and its so fun for children to play with. Children can learn 7 classic nursery rhymes and it has a song mode so kids can learn cute songs to sing. 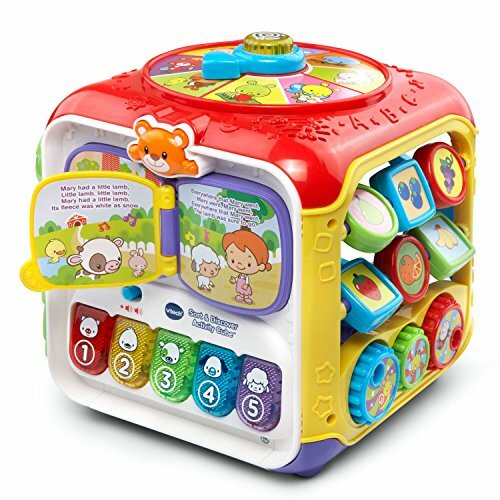 Little ones will learn different words & songs, it also has bright light up buttons. It is an age appropriate cute toy for children age one. 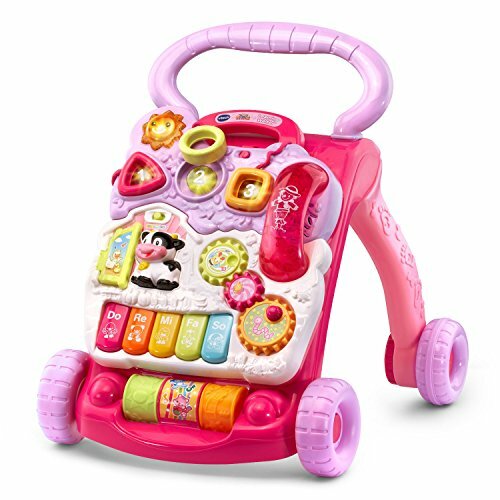 This VTech book would make a great birthday gift for a 1-year-old girl. 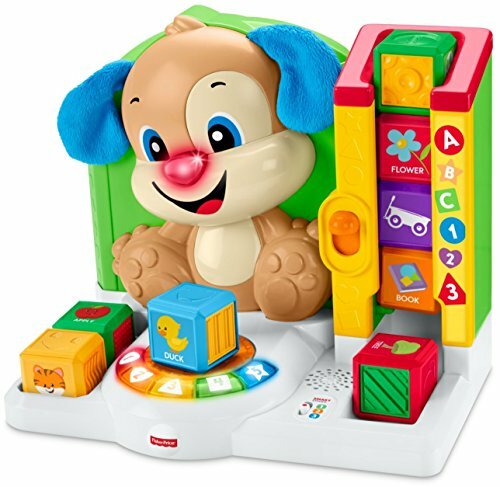 Great learning toys 1 year old. 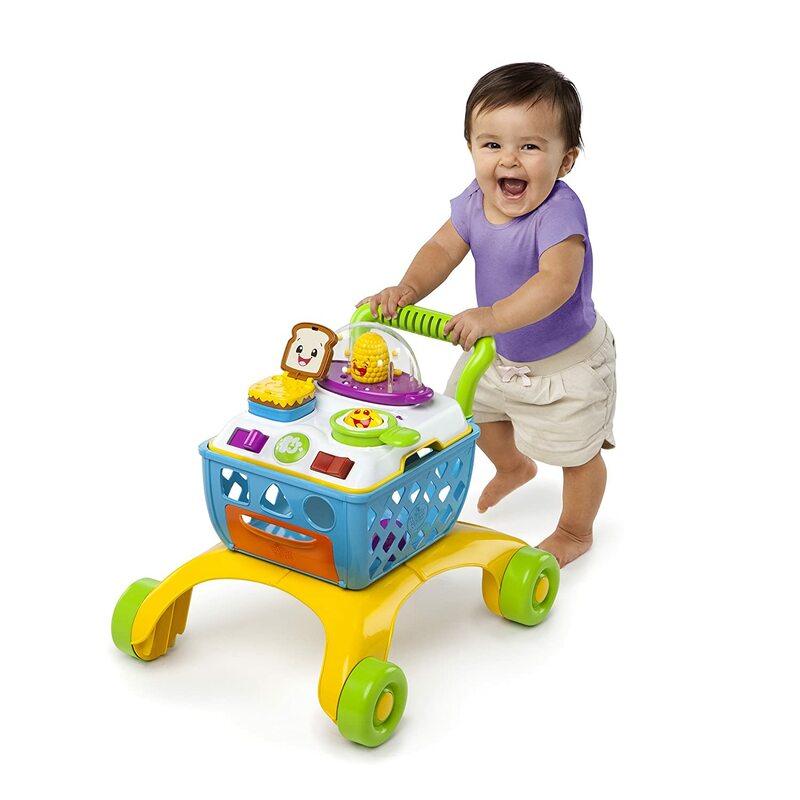 Fisher Price & LeapFrog have many great toys to boost your child’s development, and children will learn so quickly. Learning toys 1 year old are very important! Most of the toys are always brightly colored and very educational. 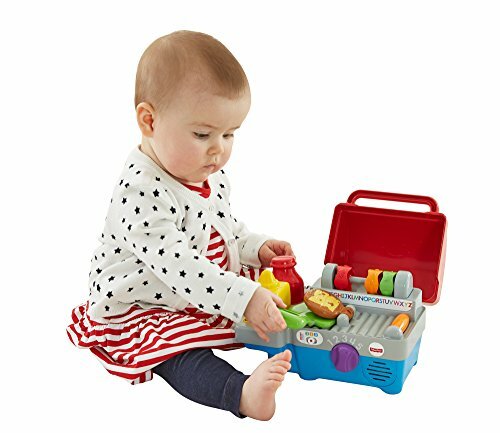 You can choose from many of the popular toys, they are all great toys to teach your baby. 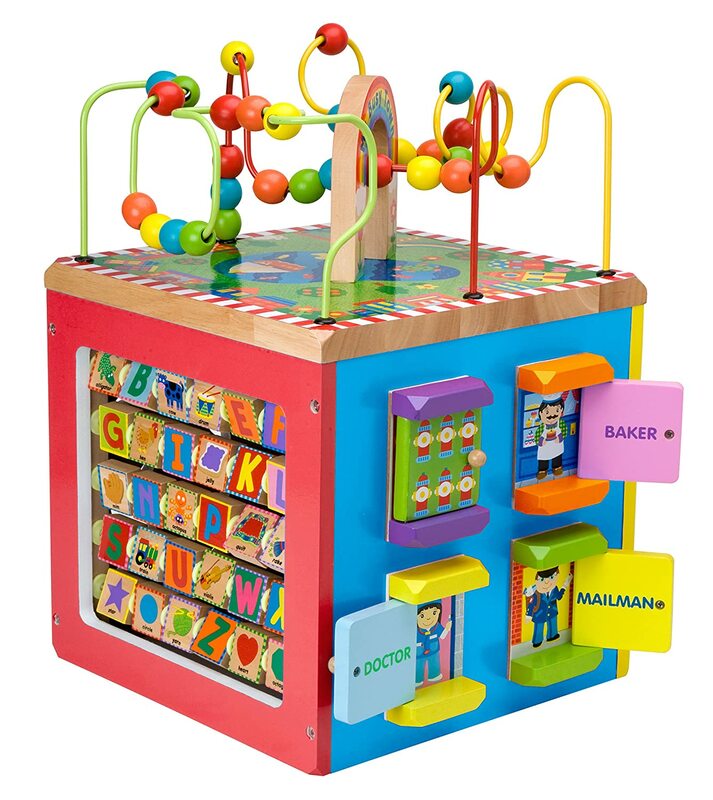 ​Introduce your child to A-B-C's, 1-2-3′s, and colors, with fun Educational toys for kids. 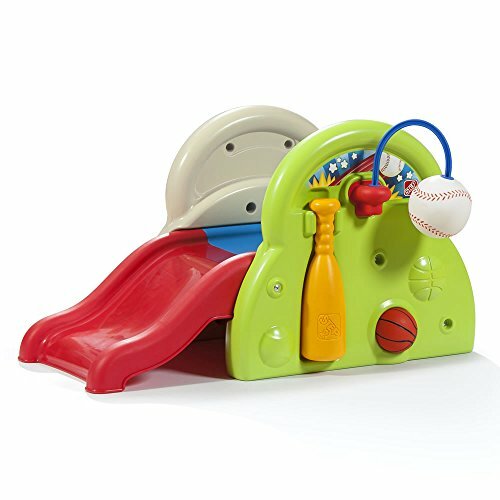 These are wonderful toys to keep their interest; we love any of their toys. 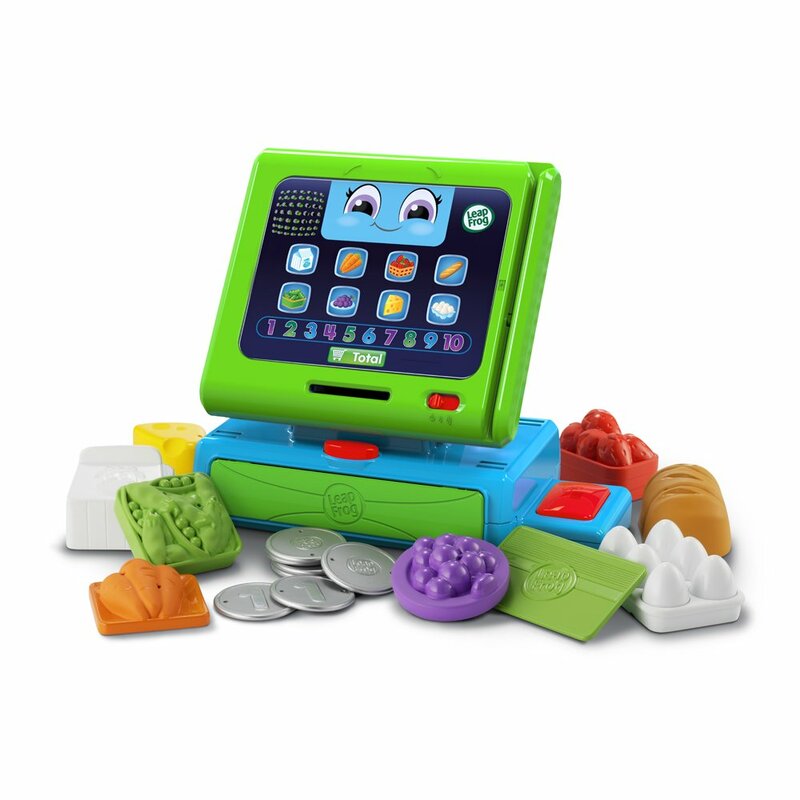 We always hear the little ones giggle when they are playing with these fun educational toys. 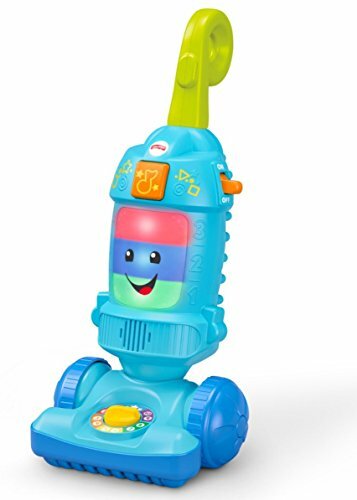 This Fisher Price Laugh & Learn Vacuum is so cute. Another great Fisher Price Toy, just perfect for our little girl. 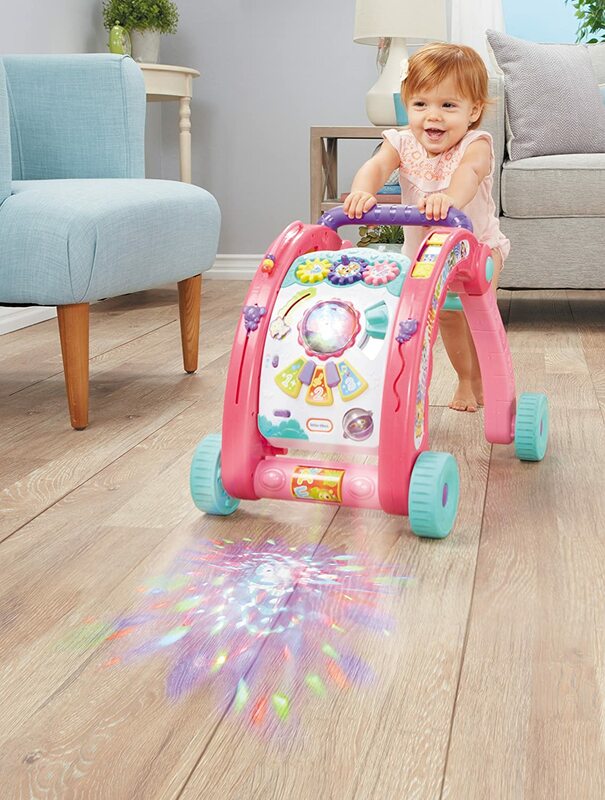 Little ones will have so much fun learning with their new Smart Stages Vacuum. It’s really fun for babies to learn through singing, dancing and playing along. The learning content changes as your child grows. 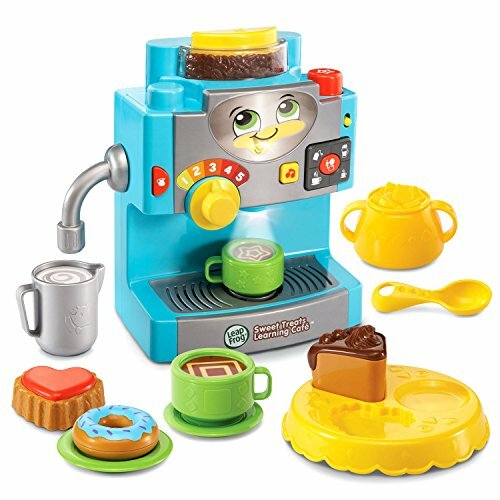 This is such a cute toy for little ones. 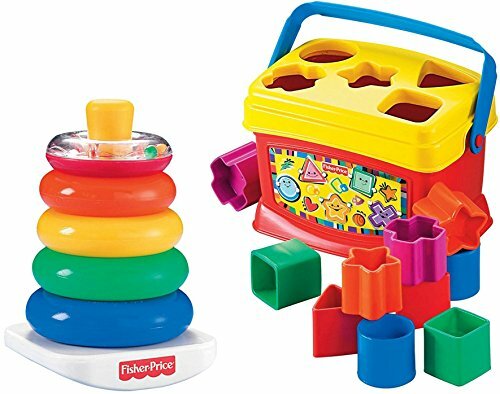 We just love all Fisher Price toys, they are just made really well. Fisher price makes one of the best toys for a 1 year old girl. 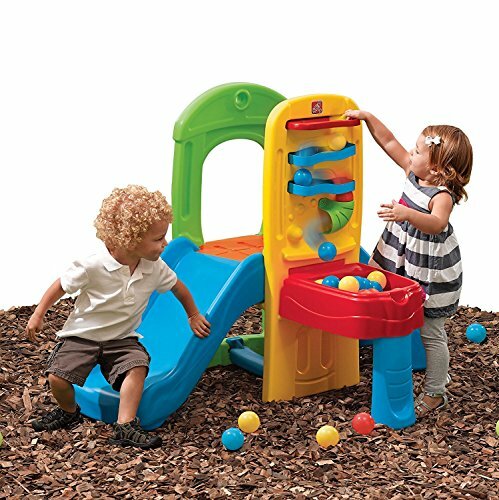 These toys are great for a one year old for gaining fine motor skills, or for those who are ready to just sit and play. 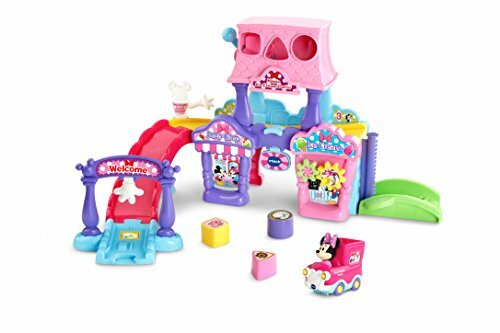 Children will have a blast with any of these great toys; and they would make such a great Birthday Present for 1 year old girl. 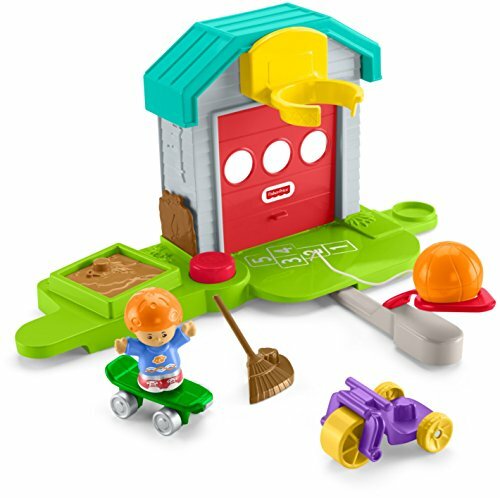 These toys are super colorful and there are lots of hands on fun activities. 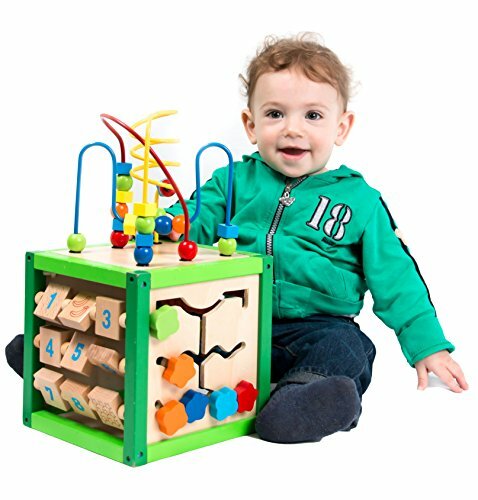 Any of these toys will encourage your child's thinking skills as well as eye hand coordination. 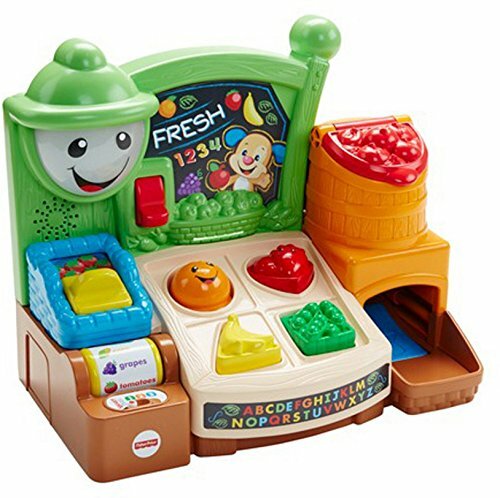 ​Bright Beats Build-a-Bear Stacker is such a sweet toy! It provides plenty of entertainment for a one year old. 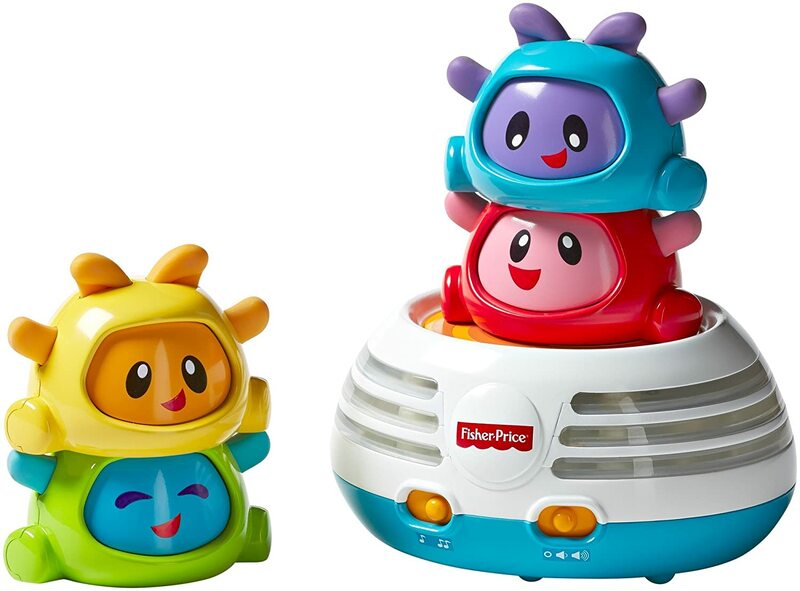 The Fisher-Price Bright Beats has dancing lights, and bright colors. 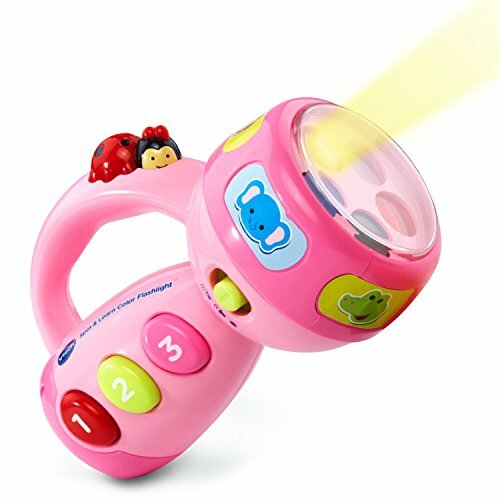 Baby can Explore the moving lights, and the cool rattles to shake. I think, this is really a cute toy! 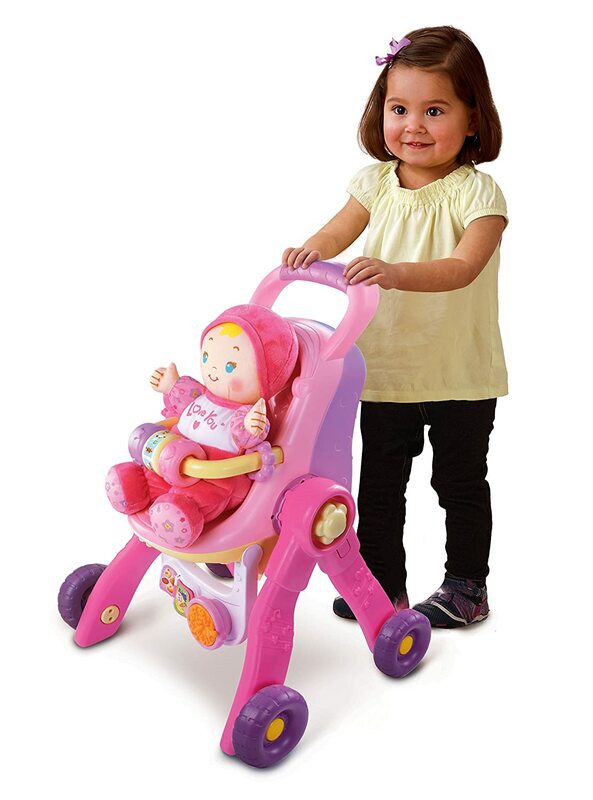 Walkers make great toys for little ones. Not only are they educational but also they help with standing and walking. I just love watching the kids push these toys as they walk. 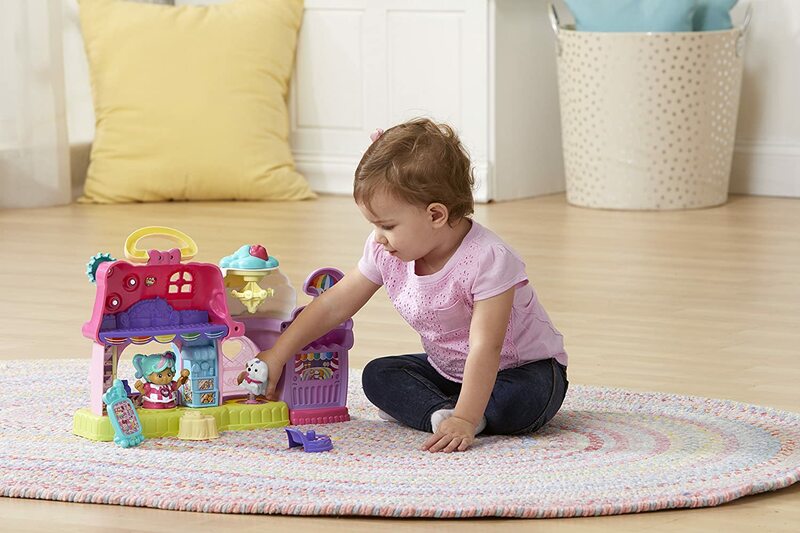 We have two of these cute toys; introduce your child to A-B-C's, 1-2-3′s, colors and more. 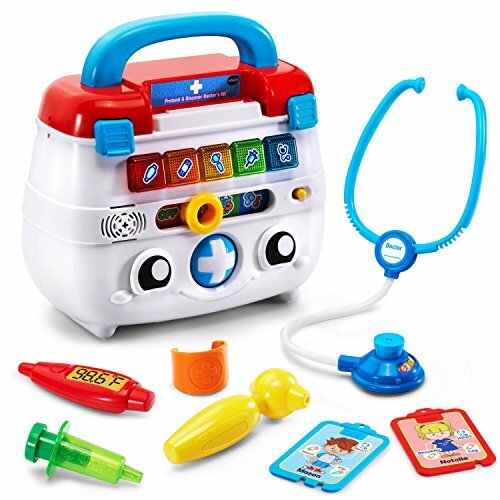 This is an Educational Toy for 1 Year Old. Just the right size for your baby to hug, the Soothe Glow Seahorse is great for play and sleep. This seahorse plays 8 lullabies for baby to snuggle with. This seahorse will play soft music and soothing sounds of the ocean to comfort baby. I love how it comforts baby at bedtime or nap time. The Ocean Wonders Seahorse would make a great birthday present for 1 year old girl. We just think this toy is so adorable! Our little one really is attached to this Fisher Price Ocean Wonders Soothe Glow Seahorse. 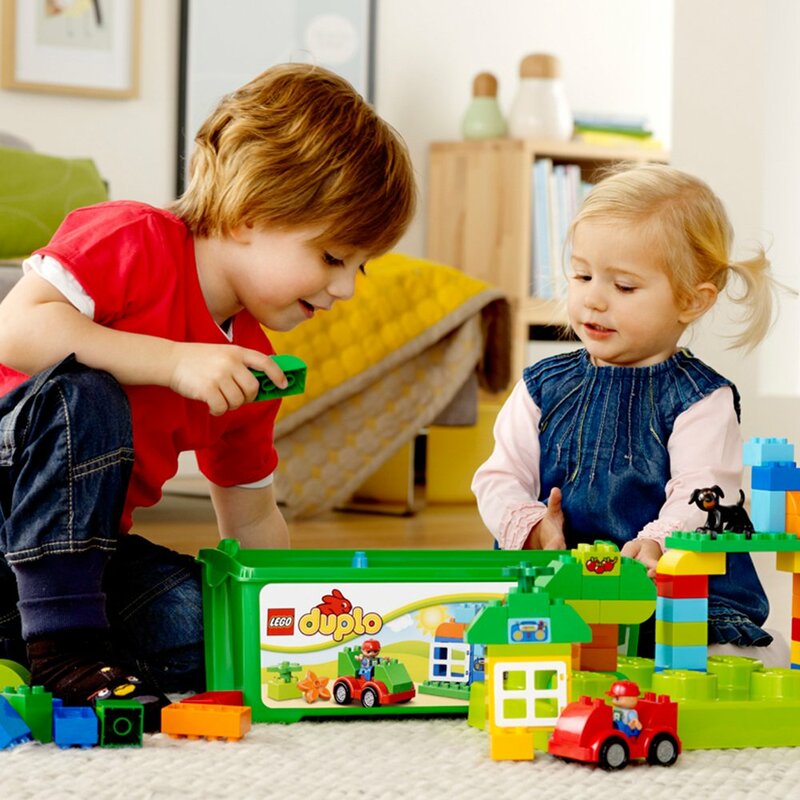 Lego Duplo Bricks are for the smaller hands, for easy to put together fun. It’s one of our children’s favorite toys. They are made super well and they last for years! These are all brightly colored bricks and for me, I think children always need blocks of some sort to play with. Blocks are so very good for their development and their imagination. 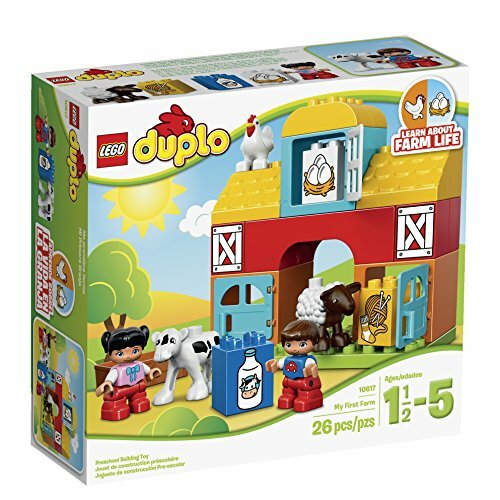 Lego Sets for Girls are great for any age, but the Duplo bricks are for the smaller kids. I like to start kids out early playing with blocks of any kind, they can play alone or with other kids. These are really nice toys for a 1 year old girl. 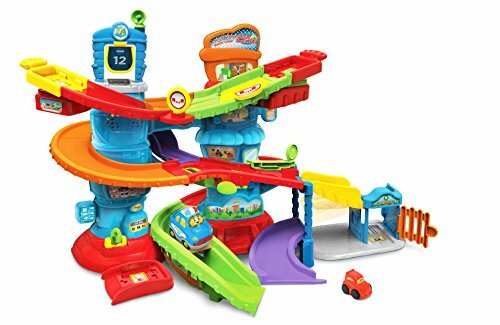 The Fisher Price Little People Wheelies Loops n Swoops Amusement Park play set makes The Best Toys for a 1 Year Old. 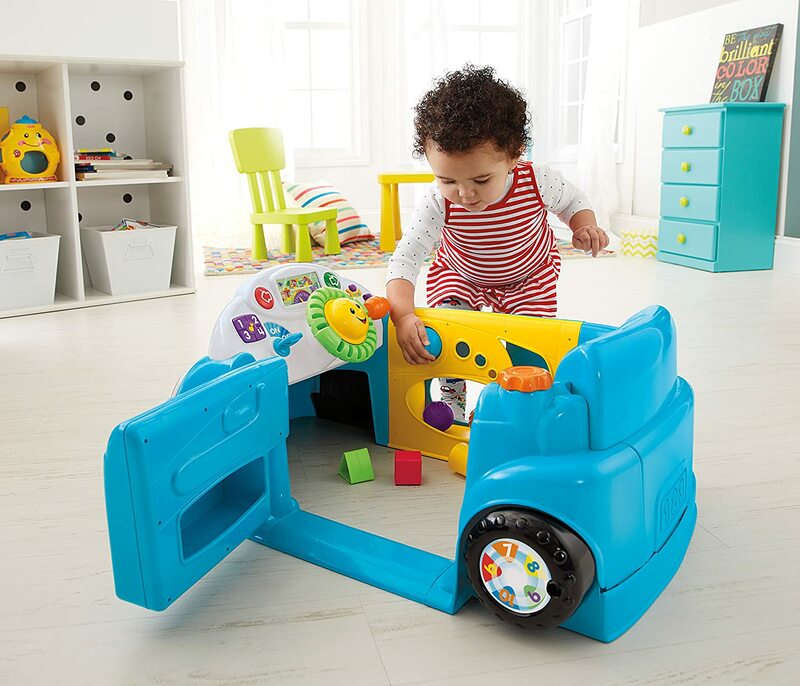 It’s a great toy for one year olds gaining fine motor skills. Its for kids who are ready to chase those little cars and have some fun. The mini-size vehicles fit perfectly into those tiny hands to put down the ramp. Children can watch as their cars zoom down and around the ramp. 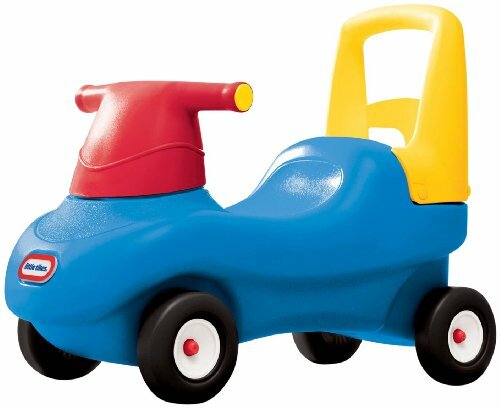 It will keep her active and laughing, chasing these cute little cars. 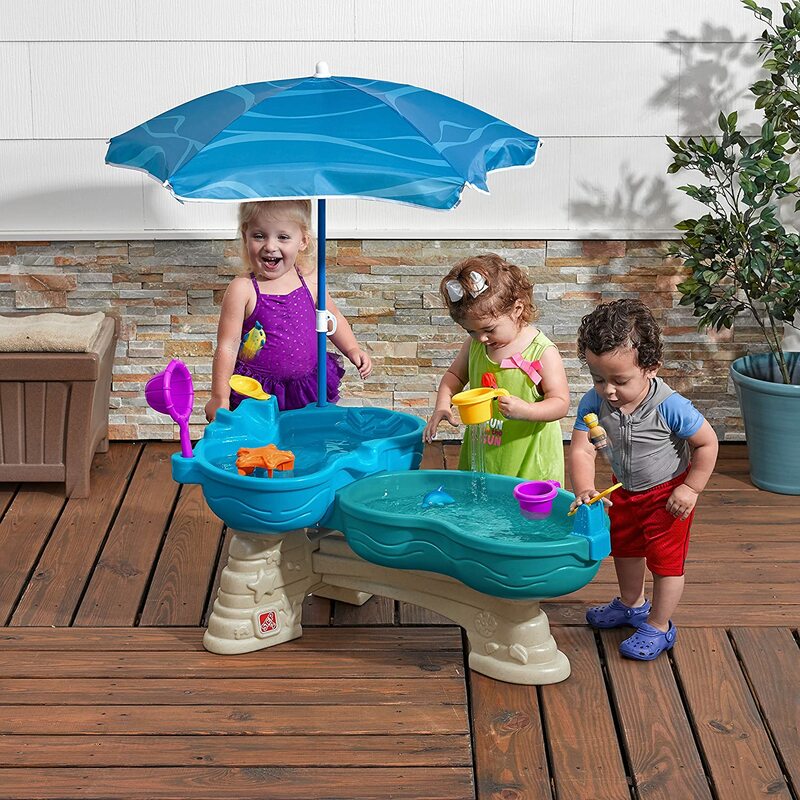 It’s super durable and our kids won’t stop playing with it, it really keeps them entertained. Best Gifts for a 1 Year Old. 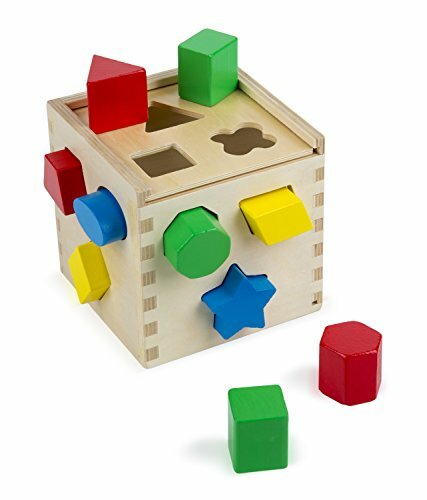 ​These Activity Cubes are really great for toddlers, and great Learning Toys for Kids. They keep children entertained while they play and learn. 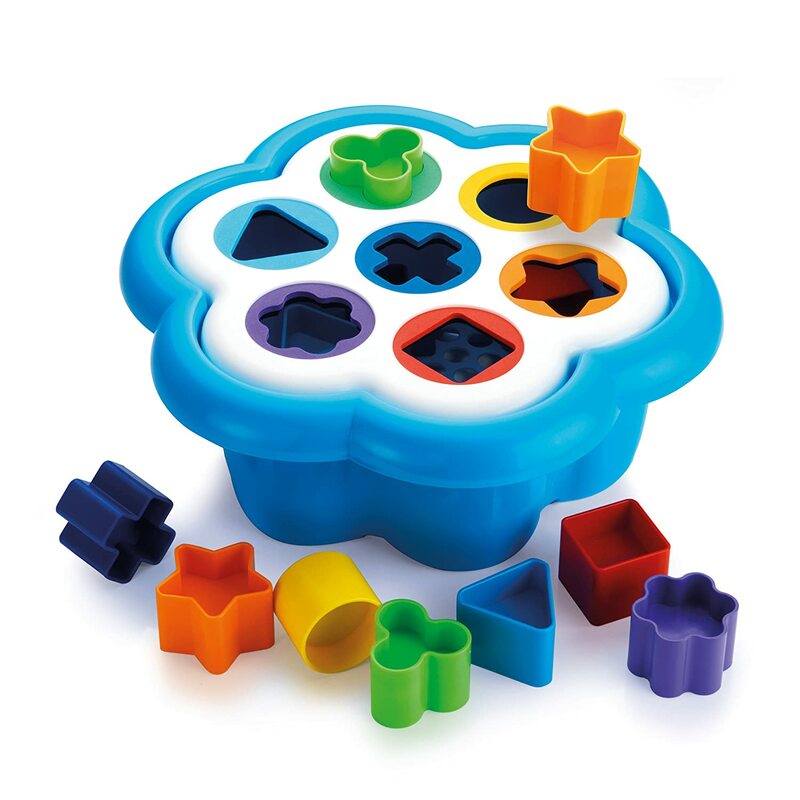 Kids can learn shapes, colors and how things work. I think it's a fun ​learning toys for toddlers. Award winning writer and animator, Mo Willems writes and illustrates some of the most humorous children's books. 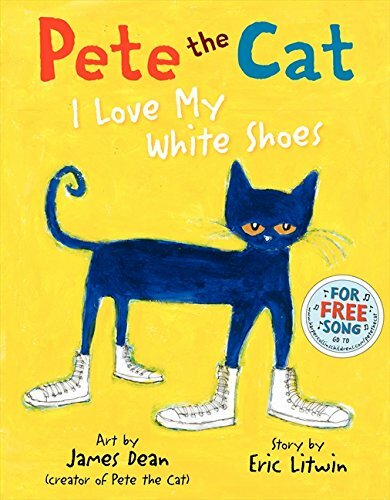 Your child will love these stories. This is a great gift ideas for a 1 year old. 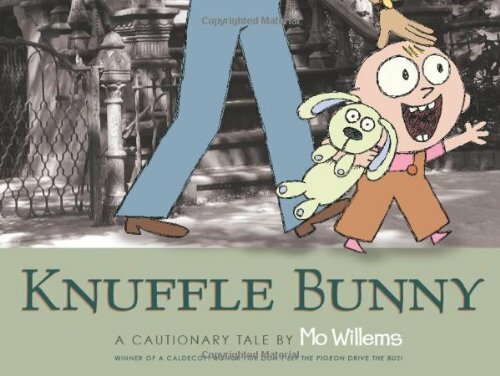 The Knuffle Bunny is so adorable and what's so cool about it is you can read the stories about Knuffle Bunny to your child, while she is holding her bunny. The importance of reading to kids, is Huge! 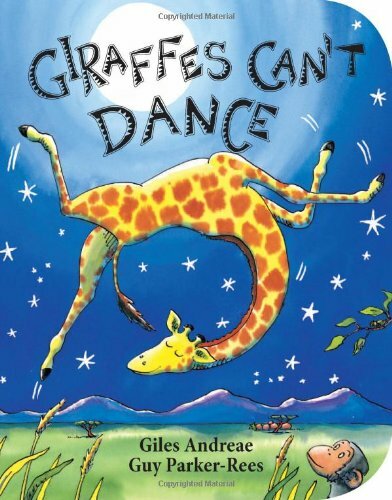 Always read to your child, try and do it every night. 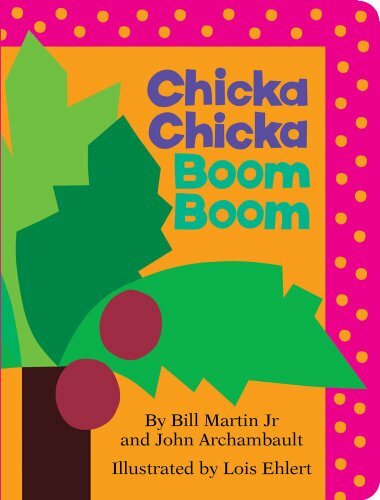 Find good Books to Read to Kids. 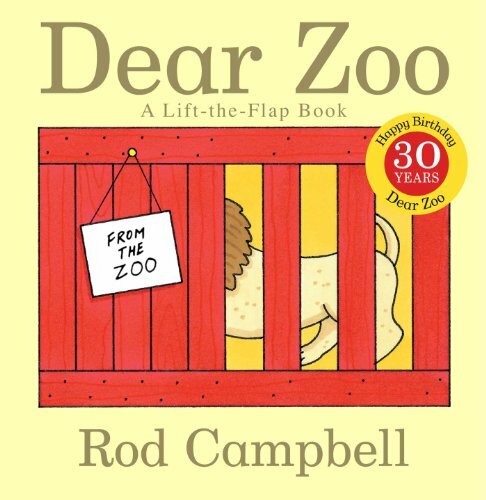 Your child will love it and you both will love to snuggle when you read. These are All Great books for 1 year old! I love the Activity Centers for kids! It gives them a place of their own to play, kind of like a little hideout. Little girls can crawl through the different areas and play in the different stations. 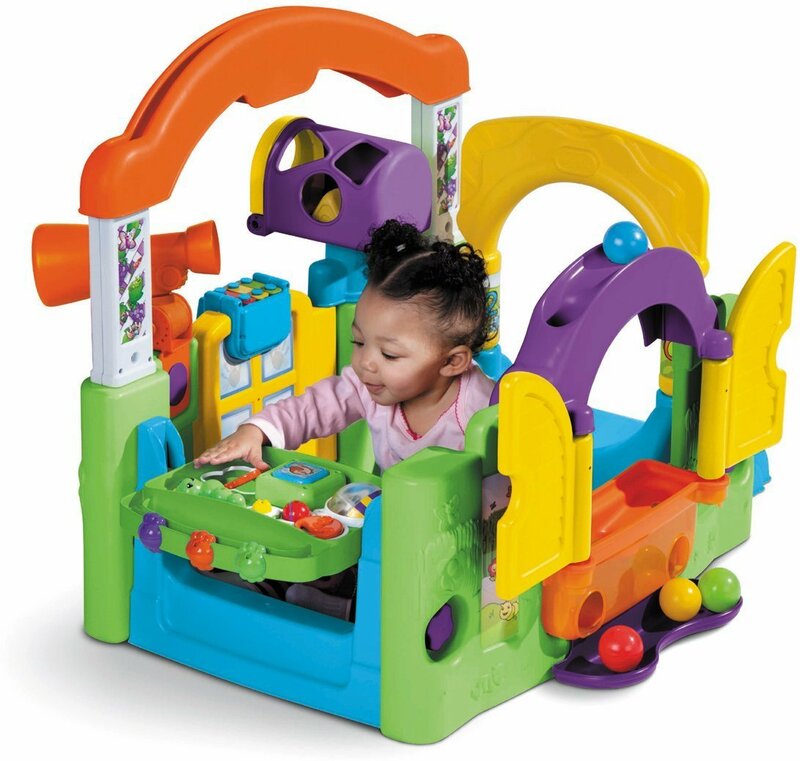 I look for Activity Centers that are brightly colored and have a lot of different things for children to do. 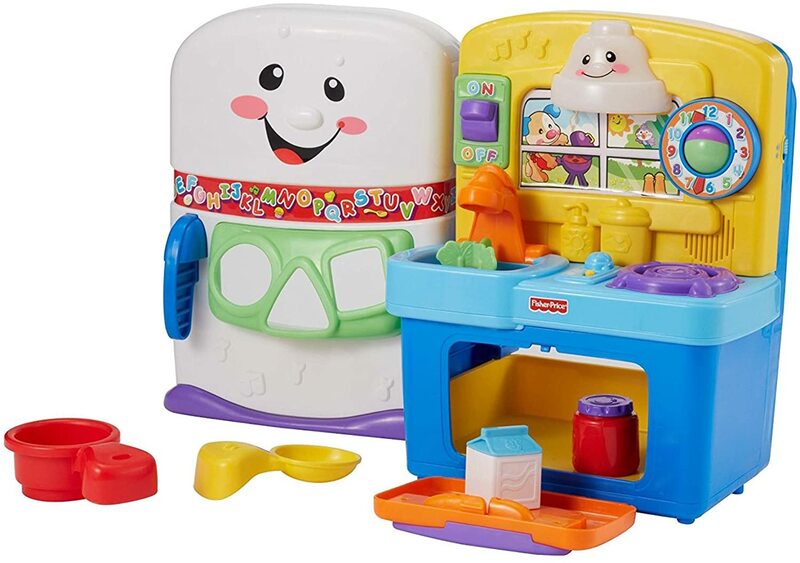 The Little Tikes Bake 'n Grow Kitchen is a fun play set for a toddler. 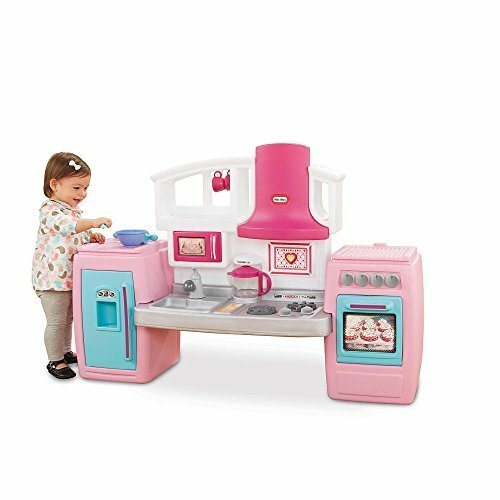 It is a perfect fun kitchen for a little one. It also has 25 accessories included the doors open and close. It’s really a cute kitchen, and our little one plays with it almost every single day. 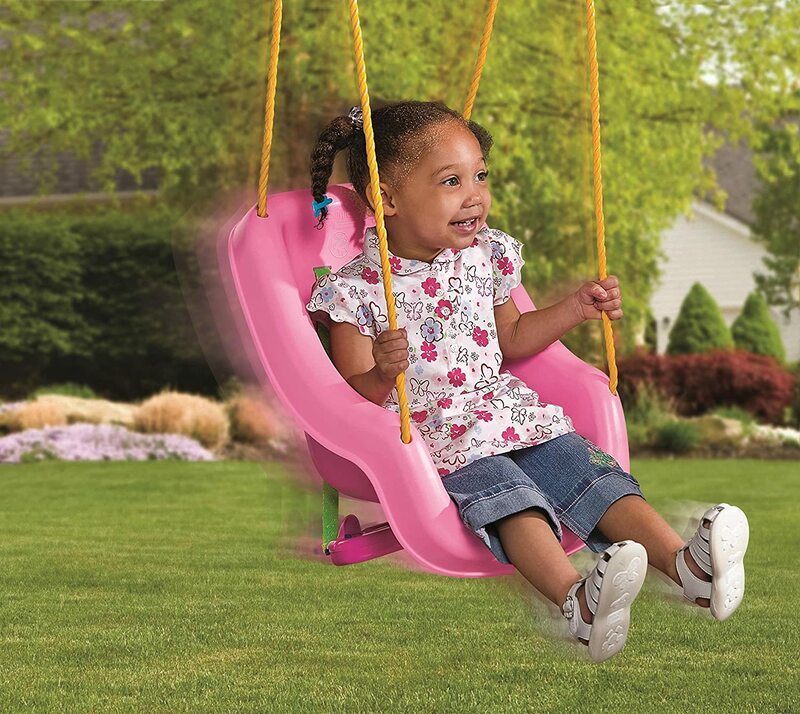 She always wants to go outside and play, here are some of her favorite Cool Outdoor Toys. We hung this swing in our living room, silly but she loves it so much & it’s always raining here. 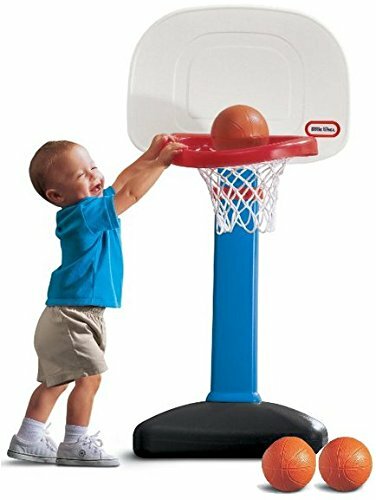 I think she plays basketball almost everyday, and its low enough for her to make baskets. Children love to be busy and they love colorful fun things. 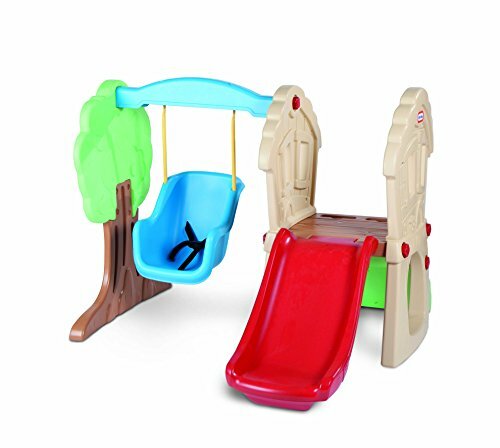 This slide is perfect for her to learn to climb and slide down. These are just some of the toys I wouldn't be without!